ETLG Inertial Aerosystems introduces a range of small UAV products from Canadian based Micropilot. Spanning a range of products from board level autopilots to enclosed autopilots to triple redundant autopilots, these sophisticated units will meet the needs of the advanced developer or operator. No matter what the requirement be it a fixed wing UAV, a helicopter UAV, a Para foil UAV, a blimp, a VTOL UAV or even a land based autonomous vehicle, there is a solution for you. 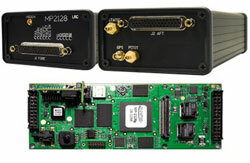 Board level autopilots for the smallest micro UAVs and fully integrated LRC autopilots for the most complex UAVs. Fixed wing and Heli autopilots, board level and highly integrated autopilots – one learning curve and you know them all.